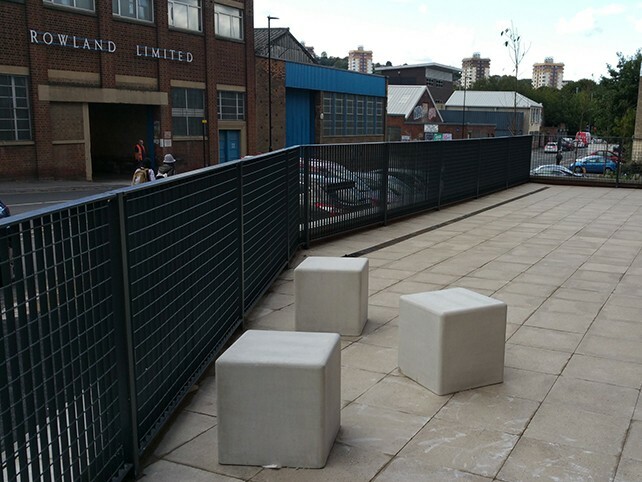 The former site of a brass foundry, located in the St Vincent’s Quarter of Sheffield has undergone a transformation as part of £21m student accommodation redevelopment project. To create new student accomodation, the brass foundry had to be demolished in order to make way for the new development to be built, after archaeological investigation and site remediation works had been carried out. The development, named “The Princess Works” has been designed to be used by students from both of Sheffield’s illustrious Universities and now caters for 437 students and comprises of three residential blocks of between 6 and 8 stories with a central communal landscaped courtyard. The high specification brick and glass façade will house 144 studios and 293 en-suite cluster bedrooms along with a substantial communal hub area including common rooms, private study area, meeting rooms and a gym. Appointed by the main contractor, Create Construction, Alpha Rail manufactured and installed electrofused grating fences. In total, Alpha Rail supplied over 30 linear metres of varying height electrofused grating fences to provide a perimeter boundary around the new build project. 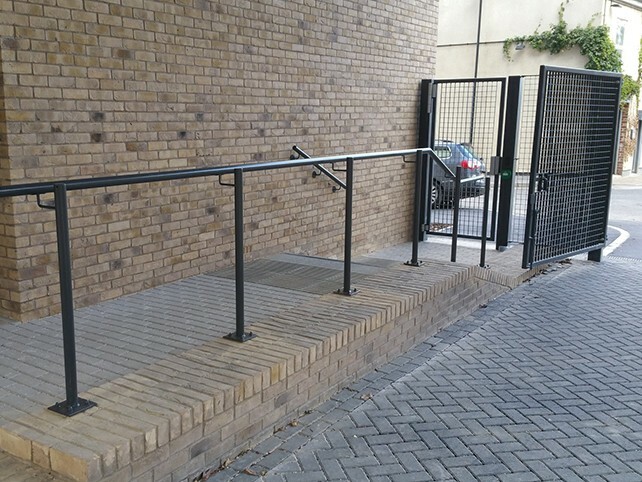 In addition to this, one single leaf gate and four double leaf gates were also installed to enable students to pass through into the development and provide safe access in and out of the building. All metalwork supplied to the project was galvanised and polyester powder coated RAL 7016 Anthracite Grey. "A great deal of planning, effort and determination has gone into this project, to ensure that it was ready for the beginning of the 2017/18 academic year. I am pleased that our dedication to the job has been matched by Alpha Rail who have also worked hard to enable us to meet this deadline."